After the disappointment of being runner-up to ‘Ol ‘Rufus - Could Parnelli Jones hold off the renewed assault of The Flying Scot at the controls of Colin Chapman’s lotus? Meanwhile, an older Lotus T-29 Ford was campaigned by a local Ford dealer; entered by Jerry Alderman Ford and driven by Al Miller, whilst possibly being chassis 29/2 which was wrecked in practice two years prior by Dan Gurney. 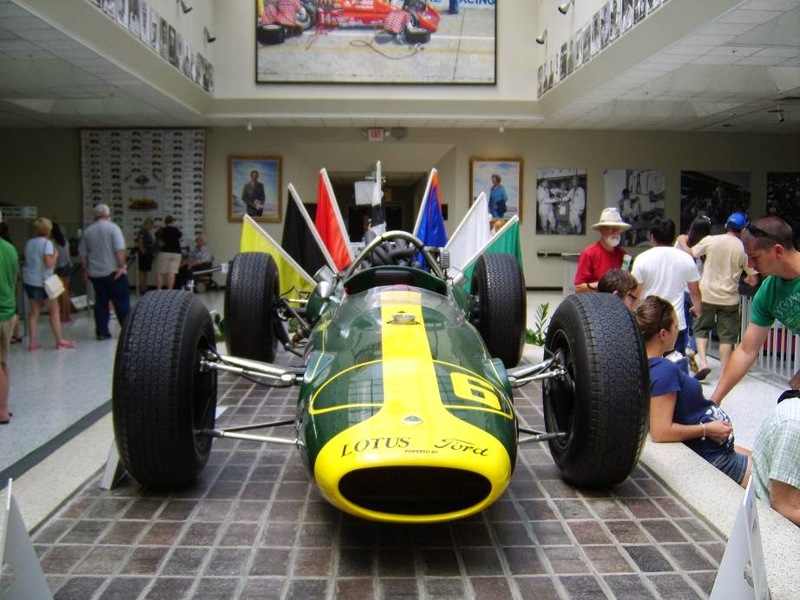 Obviously Team Lotuses lead driver was Jimmy Clark, now making his third Indy 500 appearance, while ex-teammate Dan Gurney had branched out on his own with the creation of his All American Racers team. As Gurney would run a single car entry with the unusual backing of Yamaha for his Lotus T-38 Ford, while a further two Hallibrand-Fords were entered by AAR for Roger McCluskey and Joe Lenard. But it was Al Unser’s boss ‘SuperTex, aka Anthony Joseph Foyt Jr. making the headlines, as A.J. beat Team Lotuses Clark to that year’s Pole Position with a speed of 161.233mph; while the Flying Scot lined up P2, with Gurney taking the outside of Row 1 to give the Lotus-Ford concern it’s first front row sweep. And whilst Foyt and Goodyear tyres had landed the first blow - the race was truly never in doubt as The Flying Scot’s Lotus riding on Firestone tyres handedly controlled the race all day long. After Clark had led the opening lap, he simply let a.J. go by - thinking if he wanted to abuse his machinery that early, then so-be-it, as Foyt swept into the lead on lap-2. Yet Clark simply pulled up on AJ and decided that the Texan was impeding his progress and deftly repassed him - effectively leading from lap-3 to the chequered flag, with the exception of his first Pit stop. Colin Chapman had entered an arrangement to utilize the overly complex BRM H-16 engine in Formula 1 that season with the recalcitrant sixteen-cylinder engine being tabbed to propel the new Lotus T-42 IndyCar. Yet with the troublesome H-16 ‘lump being behind in development, Chapman, who was now sporting the orange hues of the Granatelli’s STP sponsorship opted for two brand new Lotus T-38’s for Jimmy Clark and Al Unser instead. A.J. Foyt who’d wrecked his primary Coyote in practice caused his crew to pull an “all Nighter” thrashing together a brand new Lotus T-38 - which the Texan qualified on Day-2, while Al Miller once again chauffeured a Jerry Alderman Ford entry in a fourth Lotus. For 1967, defending race winner Graham Hill had joined Team Lotus in Formula 1 and thereby would also be Jimmy Clark’s teammate at the Speedway that May - as it seems that the boil had gone off of Lotuses 500 assault? With Clark qualifying an unfamiliar 16th while Hill barely squeaked-in with a last row appearance seeing him roll off P31! While the fairly unknown Larry Dickson aboard the Vita Fresh Orange Juice Lotus-Ford was the meat in the Team Lotus sandwich with a 21st place qualification.